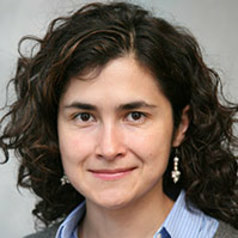 Dr Clara Sandoval is a qualified lawyer and a Senior Lecturer in the School of Law at Essex University, former Director of the LLM in International Human Rights Law, member of the Human Rights Centre, Director of the Essex Transitional Justice Network and Member of the Advisory Board of the Human Rights Clinic. She teaches and researches on areas related to the Inter-American System of Human Rights, Legal Theory, Business and Human Rights and Transitional Justice. Most of her recent scholarship has been focused on reparations for gross human rights violations by the State and by TNCs. She was a visiting professional at the International Criminal Court in 2005, providing the Court with analysis on the award of reparations for gross human rights violations by regional human rights courts, and has equally worked as a consultant for the ICC in the area of reparations. She was also part of the research carried out by the ICTJ on reparations for the next of kin of victims of gross human rights violations under international law. Besides her academic commitments, Clara also engages in human rights litigation, training and capacity building with organisations such as REDRESS and the IBA. Clara is a member of the Human Rights International Council of the Human Rights Institute of the International Bar Association (IBA).